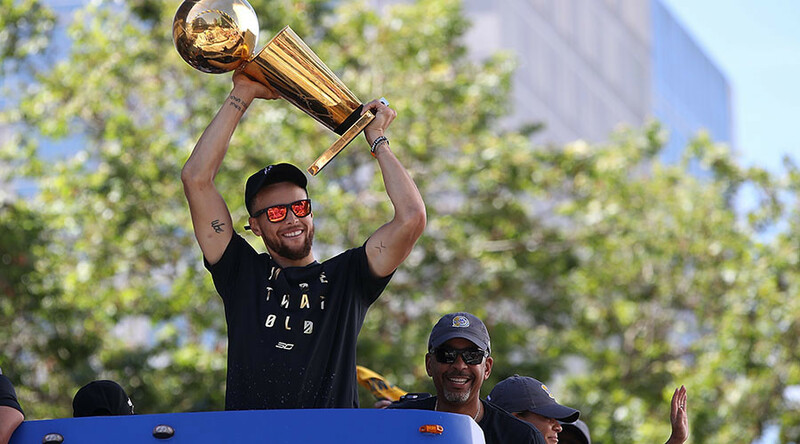 Some of the most high-profile members of the newly crowned NBA champions, Golden State Warriors, have come out against visiting US President Donald Trump in the White House. One of the team’s most high-profile stars, Stephen Curry, told reporters, however, that he doesn’t want to go. President Trump has attracted criticism from many in the NBA. Following last November’s election, Richard Jefferson, of last year’s champions, Cleveland Cavaliers, said they’ be the last team to visit the White House. High profile coaches Stan Van Gundy, Greg Popovich and the Warrior’s own Steve Kerr all gave interviews where they were extremely critical of Trump. Several other Warriors have also put it on the record that they have reservations about visiting Trump in the White House. Veteran forward David West told The Undefeated that he “probably won’t” visit the White House. The most vociferous response came from small forward Andre Iguodala who said, “Hell, nah!” when questioned by journalist Sam Amick from USA Today. Golden State defeated Cleveland on Monday night to wrap up their series in five games and earn their second NBA championship in three years.